We're back from Palm Beach and I can't tell you how badly I want to go back. We had a great time relaxing in the sun, walking along Worth Avenue, having some yummy meals, and even exercising! It was a very, very good and much, much needed weekend away from the chaos of the city and every day life. I'm hoping this week proves to be easier than last week so cheers to a good week ahead! Love this look! Pretty in pink! 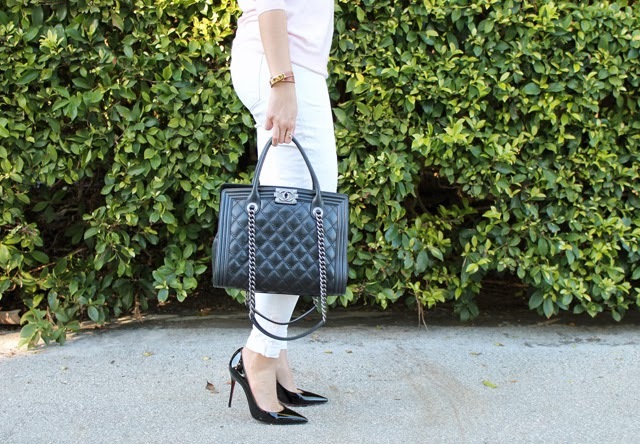 Love those soft colors paired with black. And that necklace is stunning! Ooh loving all of the soft, subtle colors and the rich dark black you have. Lovely Viv! First of all, super jealous of your getaway. Second, love this look! 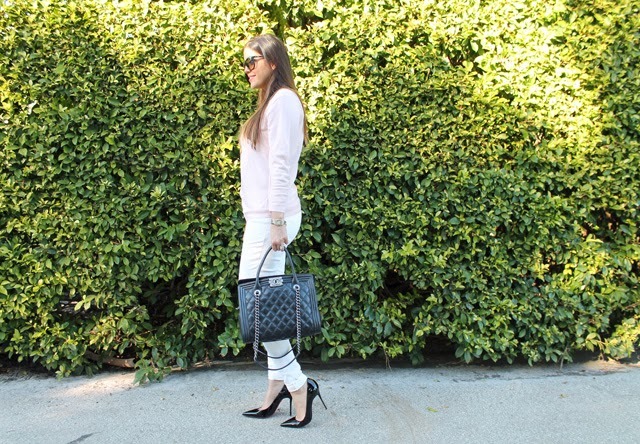 Pink, black and white is one of my favorite combos. And love that necklace! Great look... those heels are gorgeous! Perfect outfit, that bag is divine. Sounds like a wonderful trip, hope you're staying warm up in NYC! outstanding combination looking too cute i like it.